Here is another version I made of a fall wreath using a wire hanger. First you bend the hanger into a circle shape. It takes a lot of working with the hanger to get it into a circle. Don't worry if it's not perfect, the tulle will cover it up. 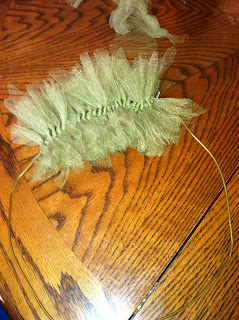 I started with green tulle. Cut it short, about 8" long and tied it in knots around the wreath. 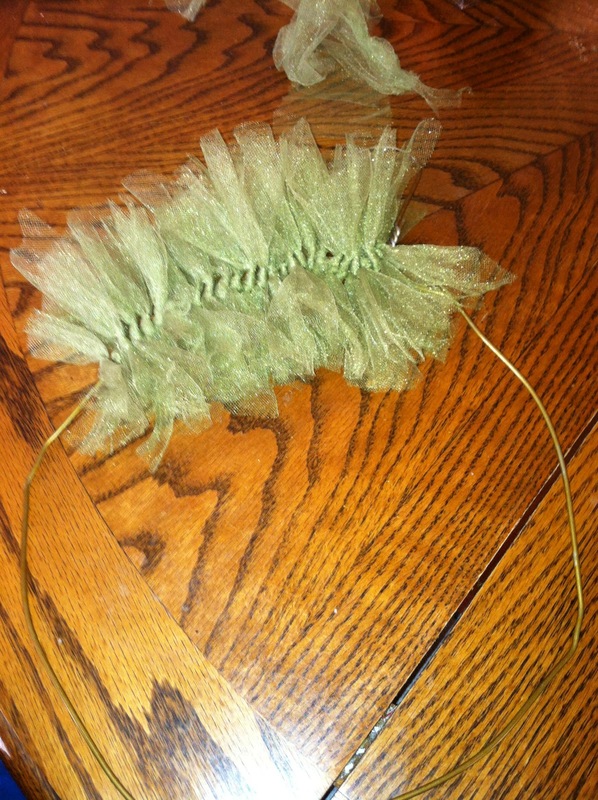 I spread the tails out on each side so the wreath would fill up on the outside and inside. This also creates an almost braided look where the knots are. Continue until you have filled up the wreath with the green. Then I added sheer orange ribbon. I love the contrast of ribbon and tulle. I added a few pieces of black glitter tulle to give it some more dimension. Candice these are very pretty! I love wreaths and just finished my second fall one. I never thought of using a hangar! Very clever! Stopping by from The D.I.Y. Dreamer linky party! I love this idea! I've been thinking of something to do for my fall wreath and this has given me some inspiration...and how simple using the wire hanger!!! I can't wait to start on my Christmas ones! I cut them pretty short. About 6"
This is such a great idea with tulle. The colours are so nice together. Great job. What a gorgeous wreath! I've been mulling over how to make a Halloween wreath since I don't have easy access to anywhere selling those styrofoam bases most people use. 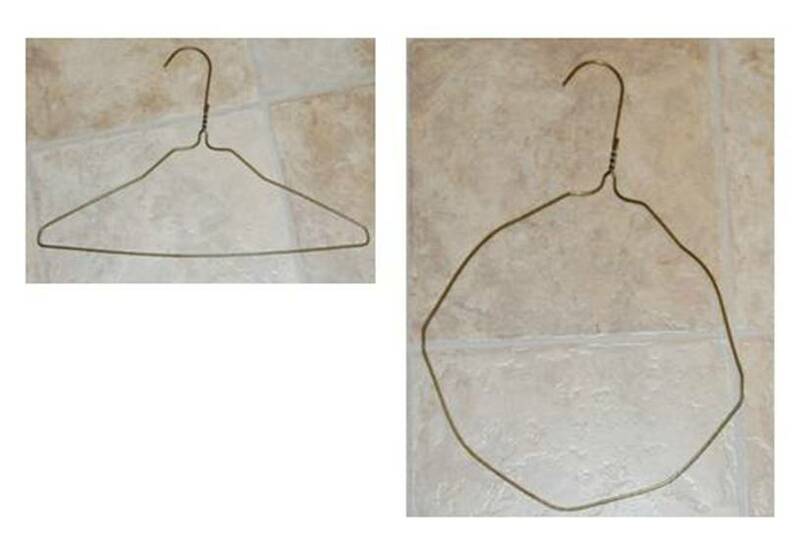 I have a tonne of wire coat hangers though so this post has been very inspiring, thanks! I use the hangers or a pool noodle. It saves so much money and you don't even see it anyway! This is a brilliant idea and looks great. Wow thank you so much for the feature!!! What a terrific wreathe. I might have to make this one so thank you for sharing. What a fun wreath!! Love the colors. Thanks so much for sharing at Thursday's Temptation. Your link got the most views list last week so I am featuring you again! !